A start-to-finish, step-by-step guide to properly installing Windows 7. Please read through this entire guide before doing anything. You'll see articles/posts/blogs around the web talking about the minimum requirements to run Windows 7. Geeks have always considered Microsoft's minimum req's to be a joke, the general rule of thumb for Geeks has been take the minimum and double it. Note the word MINIMUM, bottom line is the faster machine you have the better Windows 7 will run. Download and run Windows 7 Upgrade Advisor on the computer you intend to install Windows 7 on. This will give you a general idea on what hardware/software will work and the ones you may have problems with. 3 - Do I need an Upgrade or Full version? If you intend on installing 7 on a machine that already has a Windows operating system, and you intend to upgrade (install over it) then get an upgrade version. Otherwise the license requirement says you need a full version. Yes you can do a clean install using an upgrade disk (instructions below). Please note, the Windows 7 license agreement states that if you use an upgrade version then the OS you installed Windows 7 over is no longer valid. This may or may not be a technicality based on your own set of morals. 4 - 32-Bit or 64-Bit? There are 3 determining factors here. - Download SIW and run it. In the left pane expand the Hardware section and click on CPU Info. In the right pane look at the line Number of CPU(s). At the end of that line you should see "32 bits" or "64 bits". If it is the latter then you can run a 64-bit OS. - One thing I have noticed when using the Windows 7 Upgrade Advisor. While it doesn't straight up say you can run Windows 7 64-bit it will mention 64-bit in the Hard Drive Free Space and RAM sections if your computer is 64-bit capable. It does not mention 64-bit if it is not capable. 2 - How much memory do you have? 2GB of memory is the minimum for Windows 7 64-bit, I would recommend 4GB. 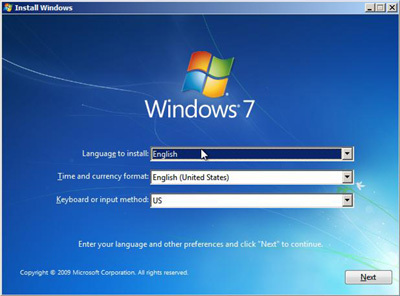 3 - Check to see if your hardware the programs you want to install under Windows 7 will work under Windows 7 64-bit. Windows 7 does a very good job at hardware and program compatibility but there are cases where hardware lacks 64-bit drivers and software does not work correctly on a 64-bit system. Check the vendors support site or to a Google search to find answers. 64-bit will perform better if you have the correct driver and enough memory. 1 - Download all your drivers. To find out all the specifics of your computer and its hardware download SIW and run it. You can get the drivers from the website of the manufacturer of you computer and/or hardware (Google is your friend). If you cannot find a specific Windows 7 driver for your hardware then download the latest one for Vista (it is possible it may work). Once you've got them all, burn them to a CD and/or a USB drive. 2 - Backup any and everything you may want that is currently installed on the computer. This means to a location other than the computer that 7 is to be installed on. 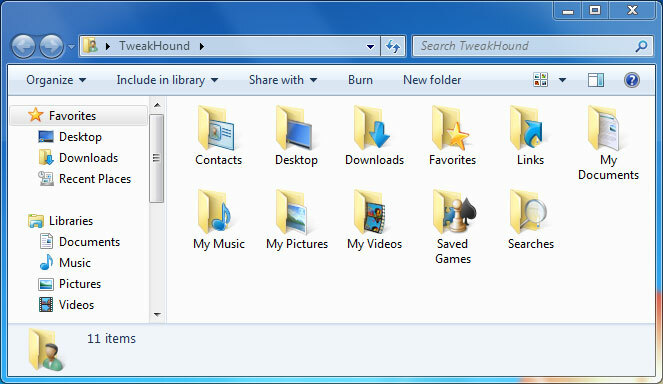 For a few suggestions on how look here for Windows Vista, and here for Windows XP. 3 - Optional but highly recommended, Wipe the target installation drive. No self-respecting Geek would ever do an upgrade install to a new OS. If you insist on doing an upgrade then skip this step. I usually use an Acronis Disk Director boot disk for this but there are other tools available. Please note, I do not recommend using any method other than the installation disk to format the drive. I've heard scattered reports of problems using other methods. My preferred method is to backup all my files to an external hard drive (this is what I have). Then boot computer with either an Acronis Disk Director boot disk or UBCD4Win disk. Once I boot these up I delete and wipe the partitions, then create new ones (ensure the partition you install 7 on is an active partition). I format the partitions again from the Windows 7 disk during the install. 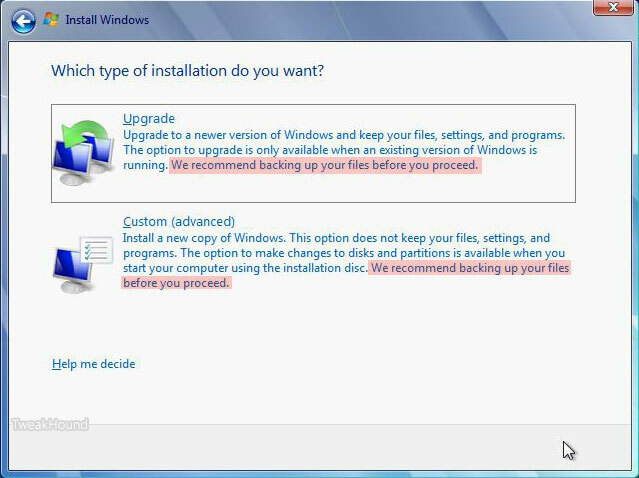 Advanced users who aren't afraid of the command line see Windows 7 Installation Advanced Drive Formatting below. TrueCrypt is a better alternative. **Exception for SSD drives to avoid the 200MB partition and partition / format the drive. 1 - Boot up from the Windows 7 installation disc. 2 - Choose Repair your computer. 3 - In the System Recovery Options screen, choose Use recovery tools... and click Next. 4 - Open the Command Prompt. 5 - Type diskpart and hit Enter. 6 - Type list disk . Find the disk you wish to install Windows 7 on. If you only have one disk then it will show as disk 0. If you have multiple disks find the drive you wish to install 7 on. 8 - Type list partition. There shouldn't be any. 9 - Type create partition primary. 10- Type select partition 1. 13- When finished reboot and begin your installation. *The above section must have really been good. It has been ripped off around the web. Please note: This is for a single partition setup. 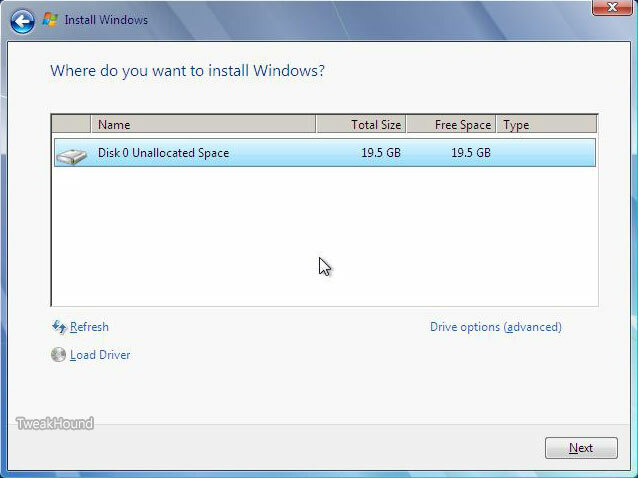 If you need multiple partitions on the SSD then you can shrink the Windows 7 partition after you install. MUST READ! Anandtech SSD article #1 and article #2. Single disk system - Operating System on first partition - Docs (libraries) on the second partition made from the remaining space. Multi-disk system - OS on first drive - Docs (libraries) on second - Other drives for storage. Multi-disk system (advanced) - OS on first drive - Second drive, a second Page File on the first partition (only if it is as fast as the OS drive), Docs (libraries) on second partition - Other drives for storage. 4 - Consider hardware upgrades. - Memory - Get 2GB for Windows 7 32-bit, 4GB for 64-bit. SIW (linked to above) can tell you what kind of memory your system has, look under the Hardware > Memory section. Below are sites that have tools to tell you what kind of memory you need. More available through Google Search. - Video Card - A 512MB card would put you in excellent position to enjoy Windows 7. A good place to start looking for which card to buy would be AnandTech. Check their Guides / System Buyers Guides and pick your price range. For the more high end minded folks, you can check [H]ardOCP and AnandTech for those reviews and recommendations (good computer hardware advice can also be found in their forums). - Hard Drive - Hard drives are generally considered the performance bottleneck for computers. Get a new bigger and/or faster hard drive. Use that old hard drive for a secondary drive. Performance enthusiasts should consider a Solid State Drive (SSD). These are expensive for the cost-per-gigabyte but man these things fly. (I have the Intel X25-M G2 ). See, AnandTech - The SSD Relapse: Understanding and Choosing the Best SSD for a good read on this topic. *You can do the above upgrades yourself. They are not complicated, can be done in a few minutes, and usually involve little more than a screwdriver. Take your time and read the guides that come with the hardware (we Geeks call that RTFM). If that guide leaves you confused simply do a Google search, i.e. "how to install a hard drive". 5 - Clean The Inside Of Your Computer. As anyone who works on others computers can tell you, the inside of a computer can get quite nasty. I've worked of computers that have left me sneezing and longing for a shower. Cleaning your computer can reduce heat inside the box allowing it to last longer (heat is the enemy of a computer). Bleepingcomputer has a good guide. Installing Seven is almost idiot proof. I will show just a few select screenshots. Pop in the DVD and let'er rip. The few questions you have to answer are straight forward. You cannot do a clean install from an upgrade disk. 3 - If using an upgrade disk. On first boot,install your drivers then run Windows Update until there are no more updates. 4 - In the start menu search box type activate , enter your key and then activate Windows. Choose Upgrade or Clean Install. To do a clean install click on Custom (advanced). As stated above I highly suggest a clean install. See the backup warnings??? Click on Drive options (advanced) to be able to format your partition. Got RAID or is your disk not showing up? Click Load Driver. Here are your drive options. See above for partition recommendations (I've got 19.5 here because the screenshots were taken from a virtual machine). You should at least format the partition. If you are going to disable UAC the do so now (see below for how). Uninstall stuff you aren't going to use. - Better option, switch view to Large Icons (look on the upper right of the Control Panel window for "View by:" Then go to Programs and Features > Turn Windows Features on or off. - Fastest way - Press the Windows + R keys and type appwiz.cpl > Turn Windows Features on or off. tip #2 - In Device Manager, if an item has an exclamation icon then it needs a driver. Press the Windows + R keys, type cleanmgr /sageset:50 . Select the options you desire, I choose them all. Click OK and close out the window. Press the Windows + R keys, type cleanmgr /sagerun:50 . * You can use this command at any time for regular disk cleanups. I use the number 50 because it is easy to remember, you can use any number you want. 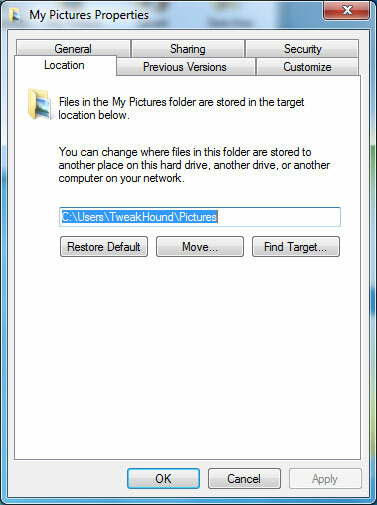 *tip - this works in Safe Mode too. Run it and keep running it until all Critical Updates are installed and any Optional Updates you want are installed. Updated drivers may be available too. If you intend to disable User Access Control (UAC) as I have then you should do this BEFORE YOU INSTALL ANY PROGRAM. Not doing so can lead to problems later. 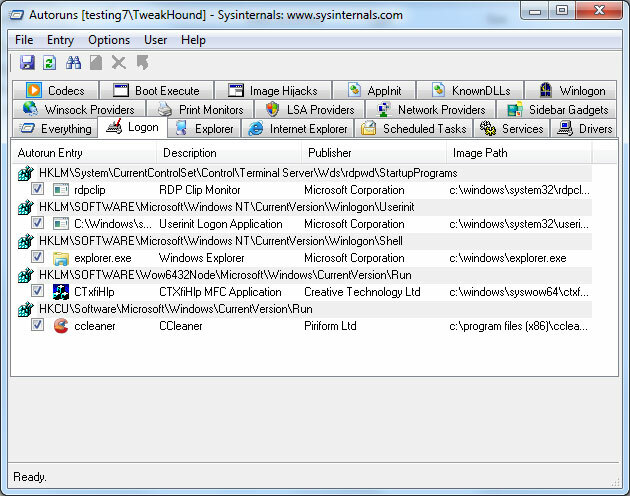 - Type or copy and paste UserAccountControlSettings.exe into the Start menu search box. - In the resulting window, move the slider all the way to the bottom. I use Winamp Lite (and I use a very basic install for that) as the Default for playing .wav and .mp3 files because it opens faster and with a smaller footprint than say Windows Media Player or iTunes. Also, I have no application launching when I insert a music CD or DVD either. I recommend you install the major applications first (i.e. anti-virus, software firewalls, Office, and the applications that come with your hardware). Always use the custom or advanced installation method and pay attention to the options screens. I install all the applications to the same drive as the OS. That is because I use backup program, and use it often! Pick and choose the parts you install carefully. If you don't install it. Avoid allowing anything that isn't necessary to "load at startup." As you install each application, download (if you haven't already) and install all updates and patches before you move on to the next application. I prefer to load my backup program first and make an image before I go further. The very next thing I install is anti-vrus software. Next install the minor applications (Sound, graphics, utilities, etc.) Check for the most recent versions first. Before you install them, decide which applications you want to perform what. If you have multiple applications that can do or play the same thing, decide which you prefer. For example; I have Windows Media Player, Winamp, MediaMonkey, and iTunes all wanting to be the default player for many of the same files. If not configured properly, they will fight for dominance. Giving each player it's own default settings doesn't mean you can't ever play it in another application. After you install each application, open them and double check configuration settings, some applications don't play nice! This is a critical step in the way I set up computers. A problem free backup / restore process depends on you having your docs, music, pics, etc. on a drive or partition other than the one Windows 7 is on. Using this method you do not have to worry that some issue (virus, crash, hardware failure, etc) will mean losing your data. Decide where you want to move these to. A second disk is your best option but in a single disk system a second partition will do. Right-click on your User Name in the Start Menu and choose Open. Select the libraries you wish to move and copy / paste them to the new location. Pick the stuff you wish to be safe from any problems. I would do at least: Contacts, Downloads, My Documents, My Music, My Pictures, My Videos. Once you have finished copying the files. Go back to the original Library, right-click on each folder you moved. Choose Properties from the menu. In the resulting window, click on the Location tab, and then the Move... button. Browse the the location you copied the files to. Click once on the folder you want it moved to and then click the Select Folder button (bottom right of the screen). This screen will pop up. Click Yes. Repeat this step for all the folders you copied. All your files do not have to be in the actual library folder. 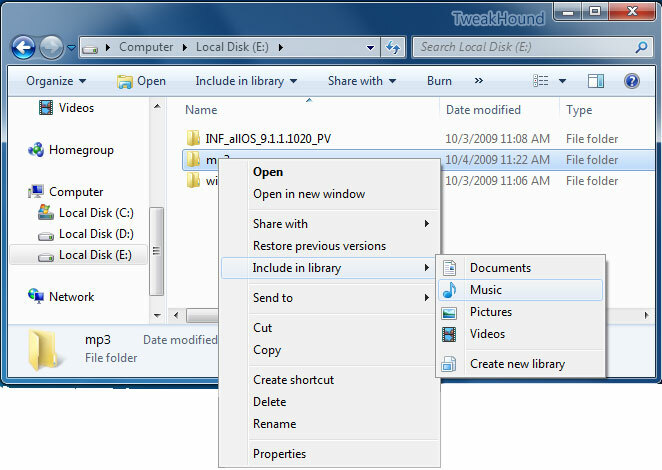 Windows 7 lets you add folders from other locations to your library without actually moving them into the actual library location. To add a folder to a library. Right-click on that folder and choose Include in library > and choose the appropriate library. If your ISP software didn't do it, configure your email now. Get everything you possibly can out of the System Tray (by the clock in the lower right hand of the screen). The best way to do this is in the applications options. If that fails, use Autoruns. Extract the folder to your root drive (usually C). Open the Autoruns folder and double-click autoruns.exe. Click on the Logon tab, Uncheck anything you do not want to start with Vista. The fewer things the better. If you don't know what it is, leave it alone. Advanced users may want to go to the SERVICES tab and make modifications there. 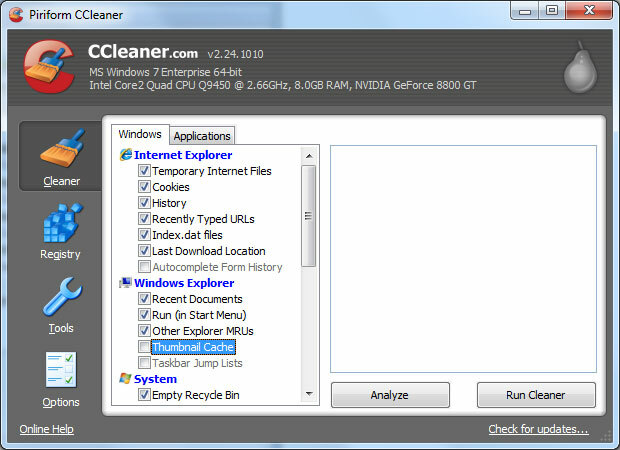 Download and install CCleaner Slim. Configure it - Poke around and choose your options (I enable Run CCleaner when the computer starts). - Start up in Safe Mode and use cleanmgr /sagerun:50 again! Next, go to START > ALL PROGRAMS > ACCESSORIES > SYSTEM TOOLS > DISK DEFRAGMENTER. Highlight the drive you installed Windows 7 on, click the DEFRAGMENT button. This will take a while. When finished shut down and restart. Get there faster: type dfrgui in the Start Menu search box. Whatever backup method you prefer, make a backup.